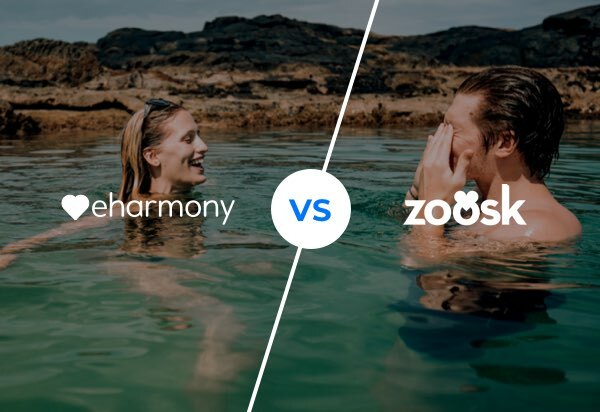 Zoosk​ and eharmony are two of the biggest online dating sites in Australia. But which one is ahead of the game and which one is still playing catch up? We put them both to the test to find out which is best - and there can only be one winner. Both eharmony and Zoosk have many members currently online dating with them. Zoosk has over 30 million members worldwide with currently 250,000 members in Australia. However, it’s fast becoming much more popular is growing at a huge rate. eharmony have over 1.5 million members in Australia and this is increasing, too. More members mean you have more choice. Winner: eharmony - Try it Now! Zoosk and eharmony have all types of singles hoping to meet each other. The average Zoosk member is in their mid to late 20s, with many more right up to 35. eharmony has a similar age range, with a roughly even male/female ratio. However, there also lots of older members looking for love the second time around. 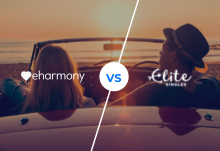 For serious daters, eharmony is the place to find long-term relationships. eharmony and Zoosk have all the features you’d expect to find on online dating sites. Zoosk has the option of it’s “Photo Verification Service” which means you can prove your photos are real and current. They have active moderators who remove fake profiles, which increases your chances of getting a match with someone serious. 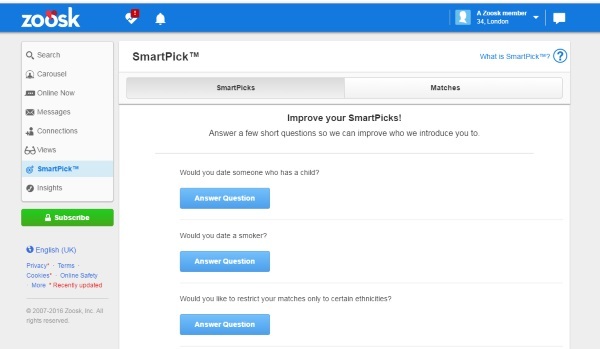 Zoosk’s Icebreaker questions are a great way to get to know a member better before moving to chat. eharmony doesn’t have a complete search facility as you can only view the profiles they match you with. There is one advantage to this and that’s the fact you won’t get overwhelmed, so you can take time to consider everyone carefully. Signing up is fast on Zoosk, but with eharmony you’ll need to complete a personality questionnaire. This rules out time wasters and means you are much more likely to meet someone with similar values. eharmony and Zoosk both have their own state of the art mobile apps which are available to download for iOS and Android devices. With each of the apps you can add photos quickly and easily, as well as read and reply to your messages. Zoosk has the added bonus of being able to sign up and log in directly with your Facebook account. Winner: Zoosk​ - Try it Now! While it’s free to set up a profile, you have to upgrade if you want to use either site properly. That’s the only way you’ll be able to read and reply to other members’ messages or contact them directly. eharmony charges $64.95 for one month, $152.85 for three months or $269.60 if you’d prefer to go for a six month package. Zoosk upgrade fees are $31.95 for one month, £62.94 for three months or $80.94 for six months. While eharmony is more expensive, this means the other singles are more likely to take the experience seriously. Zoosk and eharmony will both allow you to message and chat with other members. Zoosk has a simple messages interface where you can chat quickly and also have the facility for video chatting. eharmony handles messaging in a different way, in order to enhance the getting-to-know-you process. When you find someone you like, you can send some ice-breaking questions first which means you’ll find out more about each other. They also have the Secure Call function which lets you call someone without revealing your phone number. All in all, Zoosk wins this round as its mobile app makes it so much easier to have a conversation. 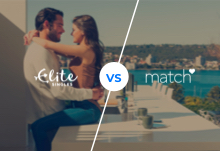 While both Zoosk and eharmony provide fantastic services, eharmony is the best choice for someone looking for a long-term relationship. It’s more in depth and offers the chance to meet someone much more targeted than other sites.